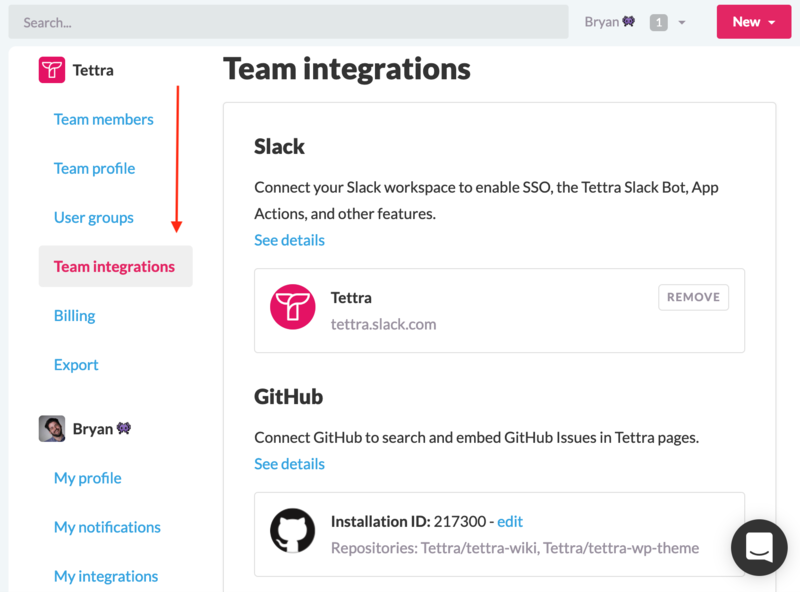 To take advantage of our advanced integration features with Slack like automatic user management and the /tettra slash command, connect your Tettra account with your team's Slack Workspace. 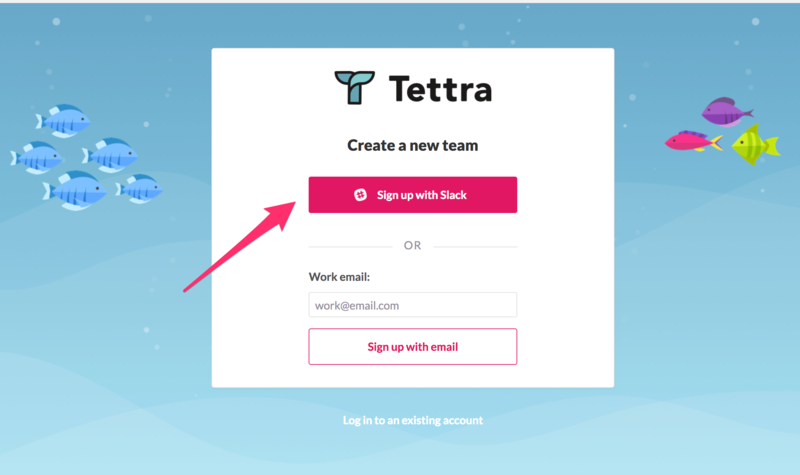 If you created your Tettra account with your email, you'll have the option to connect Slack during onboarding or can set it up later from the Slack integration page by clicking the Connect to Slack button. Note that you can only connect your Slack workspace to one Tettra account at a time. Keep in mind that Tettra will only work with full Slack members. Guests can be invited via their email address. Channel notifications work for all teams, even if you haven't connected a Slack workspace. Slash Commands are special text based commands you can use in Slack. Tettra’s slash command lets you search for tettra pages in any slack channel or 1-on-1 chat. It also lets you create pages and suggestions directly from Slack. To run a slash command, type ‘/tettra find’ followed by a search term then hit enter to see the results. For example, try typing ‘/tettra find slack’ to find this page. For more information on using the slash command check out our help center article. Connecting Slack also adds Tettra's Slackbot to your workspace.